From its earliest days, Binney & Smith has been a color company. During the last 100-plus years, Binney & Smith has grown beyond our founders’ wildest dreams. By applying technical innovation, unparalleled quality, consumer satisfaction and product value, Binney & Smith has become the preeminent producer of hands-on products for creative personal development and fun. 1864 - Joseph Binney founds Peekskill Chemical Works in upstate New York for producing charcoal and lamp black. 1880 - Joseph Binney sets up headquarters in New York City, joined by son Edwin Binney and nephew C. Harold Smith. 1885 - Joseph Binney retires; Edwin and C. Harold Smith, form a partnership and call their company Binney & Smith. Early products include red oxide pigment used in barn paint and carbon black used for car tires. During this time, Binney & Smith took an active role in the development and production of carbon black from natural gas, after natural gas deposits were found throughout Pennsylvania. 1900 - The Company begins producing slate school pencils in its newly opened Easton, Pennsylvania mill, located on the Bushkill Creek. Binney & Smith inexpensive black colorants were entered into the chemistry industries competition at the 1900 Paris Exposition under the title “carbon gas blacks, lamp or oil blacks, “Peerless Black” and earned the company a gold medal award in chemical and pharmaceutical arts. 1902 - Binney & Smith developed the Staonal Marking crayon. Listening to needs of teachers, Binney & Smith introduced the first dustless school chalk. Binney & Smith incorporates September 30, in Easton, Pennsylvania and serves as general distributor for several carbon black producers, introducing carbon black to other countries. 1904 - The company wins a gold Medal at the 1904 St. Louis World Exposition for their An-Du-Septic Dustless Chalk. 1920 - Crayola Rubens crayons for art students and Perma Pressed sharpenable fine art crayons are added to the growing product line, which also includes new Artista brand paints. 1936 - Binney & Smith becomes a founding member of the Crayon, Watercolor and Craft Institute, promoting product safety in art materials. 1948 - To educate art teachers about the many ways to use the growing number of Crayola products, a teacher workshop program begins to offer in-school training across the country. 1949 - Crayola introduces the “Crayola 48” containing 48 color crayons in a “stadium seating” box. 1952 - A Binney & Smith plant in Winfield, Kansas opens to handle the company’s growing business. 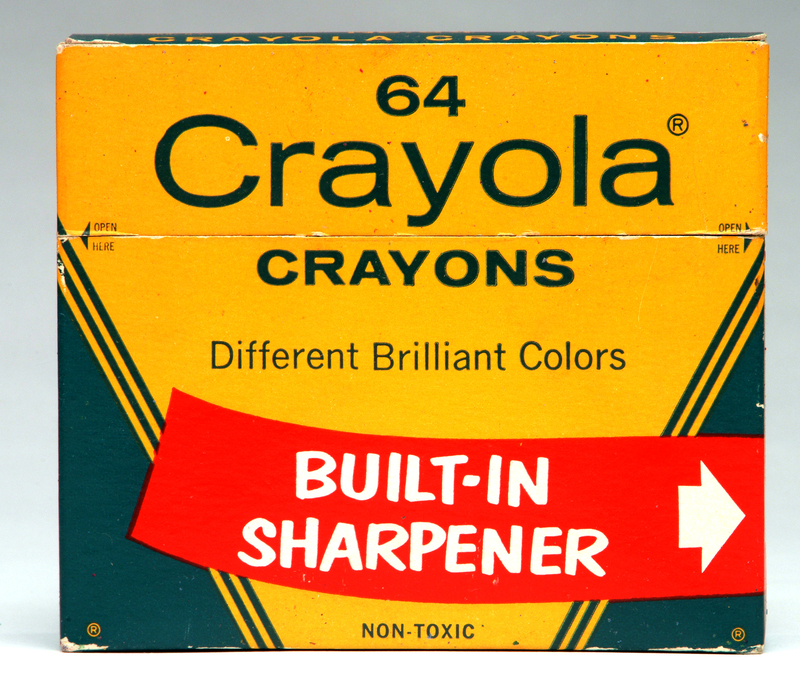 1958 - The 64-color assortment of Crayola crayons – with a built-in sharpener – debuts. 1961 - Binney & Smith becomes a publicly held company. 1963 - Binney & Smith becomes a member of the American Stock Exchange May 1, with the symbol: BYS. 1964 - Binney & Smith acquires Permanent Pigments Inc., Cincinnati, Ohio. The Company manufactures LIQUITEX acrylic colors, oil colors, watercolors, varnishes, mediums and other supplies for the fine artist. 1969 - The company opens an additional plant in Easton, Pennsylvania, followed five years later by a new corporate headquarters. 1975 - Binney & Smith establishes a joint venture in Mexico, with manufacturing facilities located in Pastaje. 1976 - Corporate headquarters relocate from New York City to Forks Township in Easton, Pennsylvania. 1977 - In May, Binney & Smith acquires the rights to Silly Putty, one of the world’s best-loved toy classics. 1978 - Binney & Smith is listed on the New York Stock Exchange June 19, with the symbol: BYS. Crayola crayons celebrate their 75th anniversary, and Crayola markers are introduced. Craft and activity kits become a vital part of the company’s business. 1979 - All children’s product lines are repackaged to carry the Crayola trade name and all fine art materials are repackaged to carry the Liquitex trade name. 1980 - A private distributorship in Australia is purchased to form Binney & Smith (Australia) Pty. Ltd. to market and distribute finished Crayola products. 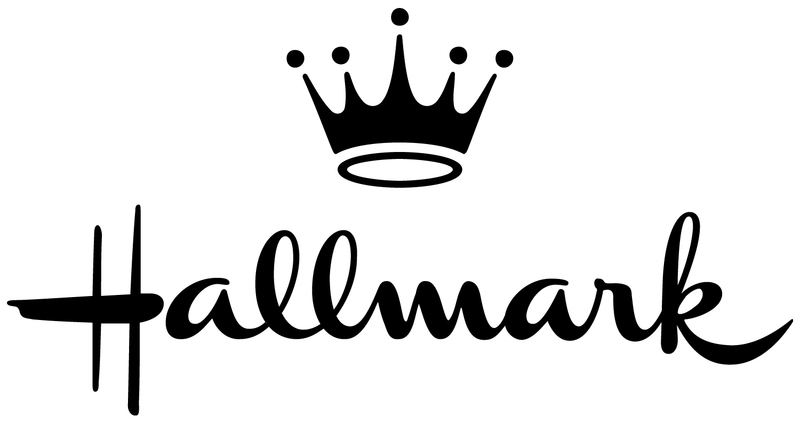 1984 - Binney & Smith becomes a wholly-owned subsidiary of Hallmark Cards Inc., of Kansas City, Missouri, the world leader in personal expression products. Crayola DREAM-MAKERS art education program is introduced in the nation’s elementary schools. 1986 - A toll-free consumer help line, 1-800-CRAYOLA, is established, extending the company’s commitment to providing quality service. 1987 - Crayola introduces Washable markers, an instant hit with kids, teachers and moms. Crayola colored pencils also arrive. 1988 - Binney & Smith acquires the manufacturing rights for Magic Marker brand markers. 1990 - Eight Crayola crayons – maize, raw umber, lemon yellow, blue gray, orange yellow, orange red, green blue and violet blue – are retired into the Crayola Hall of Fame in Easton, Pennsylvania. 1991 - Binney & Smith offers the eight retired Crayola crayon shades, along with a 64-box, in the Crayola Collector’s Colors Tin for a limited time. Crayola Washable crayons are introduced. 1992 - Crayola introduces Model Magic, a modeling compound, into its long line of products. 1994 - Revell-Monogram, the world’s leading manufacturer of plastic model kits joins the Binney & Smith family. 1996 - A colorful and historic milestone is recorded as the 100 billionth Crayola crayon rolls off the production line in Easton, Pennsylvania. On July 16, Binney & Smith celebrates the Grand Opening of The Crayola EXPERIENCE visitors’ center in Easton, Pennsylvania with the Crayola ColorJam parade. 2000 - Binney & Smith sells its Liquitex brand to ColArt. Crayola Color Wonder makes its debut and takes home trophies in several national toy testing programs including Family Fun magazine’s Toy of the Year Awards, Duracell Ultra Toy Survey, and TODAY’s Toy Test 2000, sponsored by the Today Show on NBC. Binney & Smith invites crayon enthusiasts of all ages to make their favorite color count in the Crayola Color Census 2000, the first cyber-search for America’s favorite crayon colors. Everyone who registered their choice at the new Crayola.com Web site was “counted in” for the chance to win a 10-day trip for four to colorful sites like The White House, Yellowstone National Park and the Golden Gate Bridge. 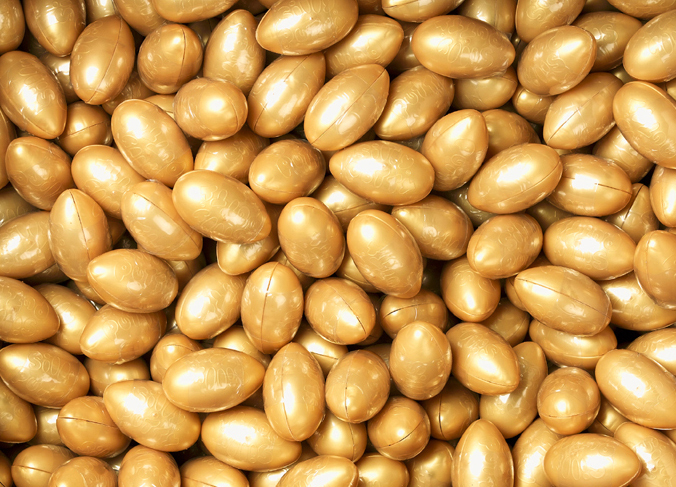 Metallic Gold Silly Putty was introduced to mark its 50th Golden Anniversary. Vintage blue and yellow Silly Putty eggs from the early 1950’s went on display in the Smithsonian Institution’s National Museum of American History in the “Material World” exhibit devoted to significant inventions and materials that have shaped American culture. 2001 - On January 31, the results of Binney & Smith’s first on-line poll of consumer’s favorite Crayola crayon colors were revealed. 25,000 votes were cast by Crayola crayon fans of all ages; final tally revealed that America’s favorite Crayola crayon color is blue. Six other shades of blue finished in the Top 10 including cerulean, midnight blue, aquamarine, periwinkle, denim and blizzard blue. Other colors rounding out the Top 10 list included purple heart, caribbean green and cerise. In September, Binney & Smith completed the sale of Revell-Monogram and Revell AG to Alpha International, a Cedar Rapids, Iowa-based company specializing in die-cast and collectible products. 2002 - The Crayola Crayon Maker, named Best Toy of the Year by Child Magazine, the first toy of its kind gives new life to “leftolas”. Kids can now melt down old crayons and make new ones. 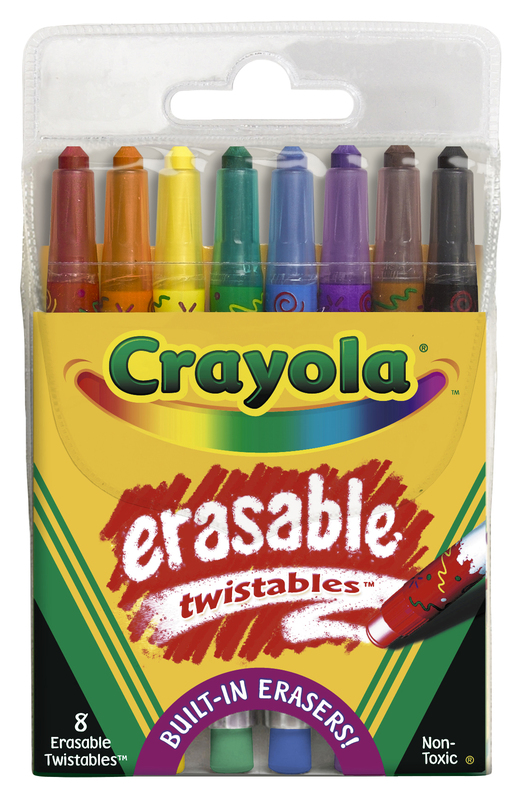 Crayola Twistables are introduced. Crayons in plastic tubes that twist up more color when the tips wear down – become a Back to School hit. Window FX markers leave a mark on Windows and Mirrors to become one of the best-selling new Crayola products. 2003 - Happy Birthday Crayola! 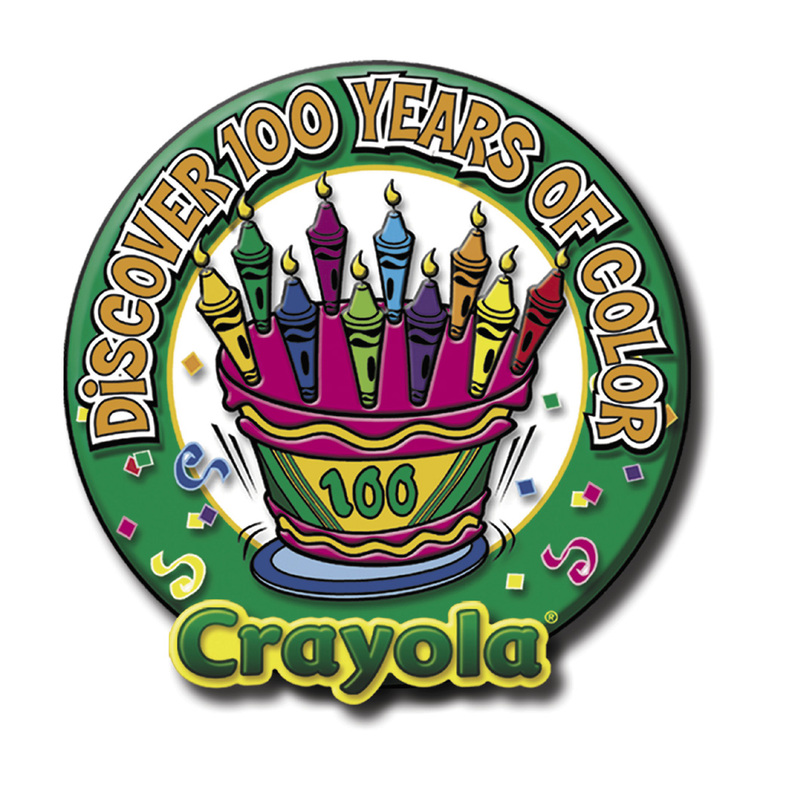 The Crayola brand celebrates 100 years of making the world a more colorful place for children. Four new colors were introduced for the next century: “inch worm”, “mango tango”, “wild blue yonder”, and “jazzberry jam”; these colors replaced blizzard blue, magic mint, mulberry, and teal blue. The World’s Largest Crayon was unveiled at our 100th Birthday party in Easton, PA., on October 11th, breaking the old Guinness record of 10ft., the World’s largest Crayola Crayon weighed in at 1,500 lbs., 15 feet high, and 16 inches wide, in America’s favorite color – blue. 2006 - VH1 viewers listed Silly Putty and Crayola Crayons as 27th and 28th respectively as their favorite toys of all times. 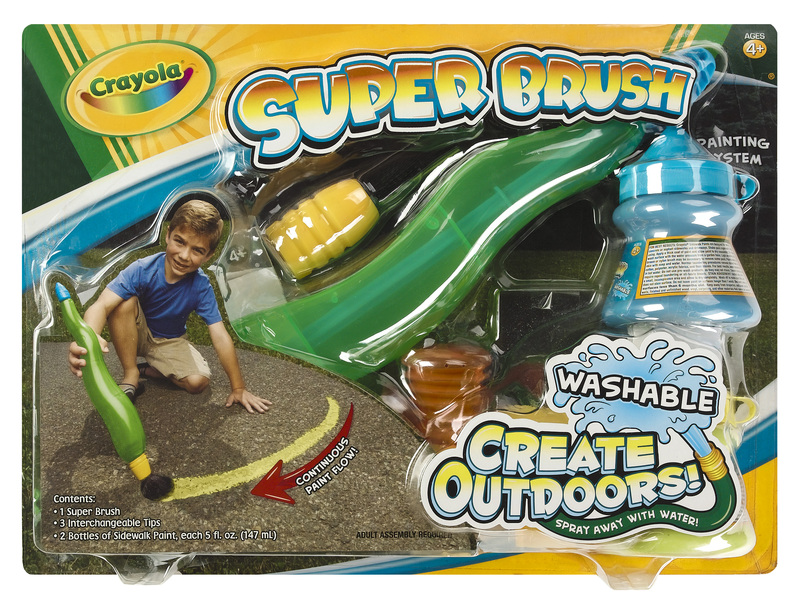 Crayola redraws boundaries of creativity with the introduction of Crayola Outdoors – which includes five new creative outdoor activity toys – the Color Cyclone, Grand Canvas, Super Brush, Chalk ‘n Roll, and Chalk Stomperz – that let kids create BIG art in the great outdoors. Crayola Super Brush is named one of Toy Wishes magazine’s Hot Dozen summer toys. This list spotlights editor’s top picks for the hottest toys of the season. 2007 - On January 1, 2007, Binney & Smith becomes Crayola LLC, reflecting the company’s No. 1 brand and its fast-forward innovative direction. The Crayola name has 99% recognition among U.S. households. 2008 - Crayola celebrates the 50th Birthday of the famous 64-ct. box first introduced on the popular children’s show Captain Kangaroo in 1958. 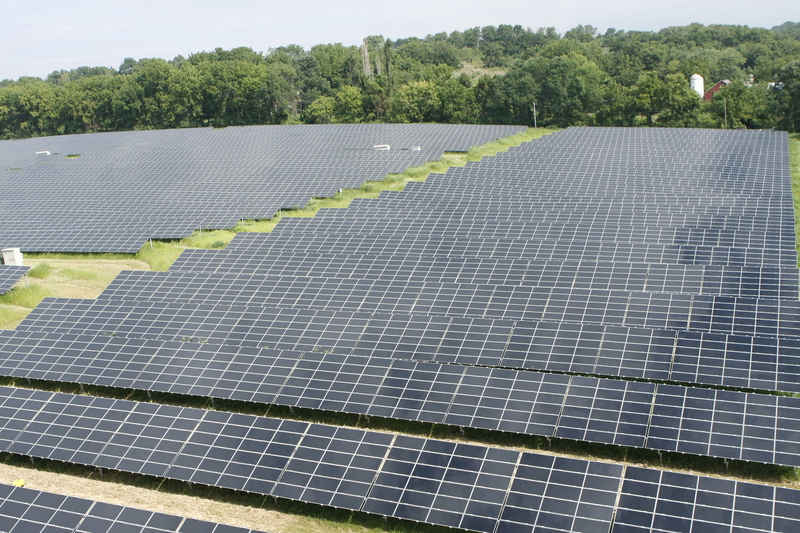 2010 - Crayola, teaming with partners UGI and PPL, opens phase one of a Solar Farm contained on 20 acres at the Crayola campus in Forks Township, PA. The 26,000 solar panels produce 1.5 Megawatts of electricity. Enough electricity to produce 1 billion crayons per year and reduce 3,800 tons of greenhouse gas per year. The equivalent of removing 650 cars from our highways/year or planting 800 acres of pine forests per year. 2011 - May 4, 2011 - Edwin Binney is elected into the National Inventors Hall of Fame, in recognition for his invention of an apparatus for the manufacture of Carbon Black. He received a patent for this invention on May 26, 1891. July 16th a Birthday Party was held in downtown Easton to celebrate the 15th Birthday of the Crayola EXPERIENCE. 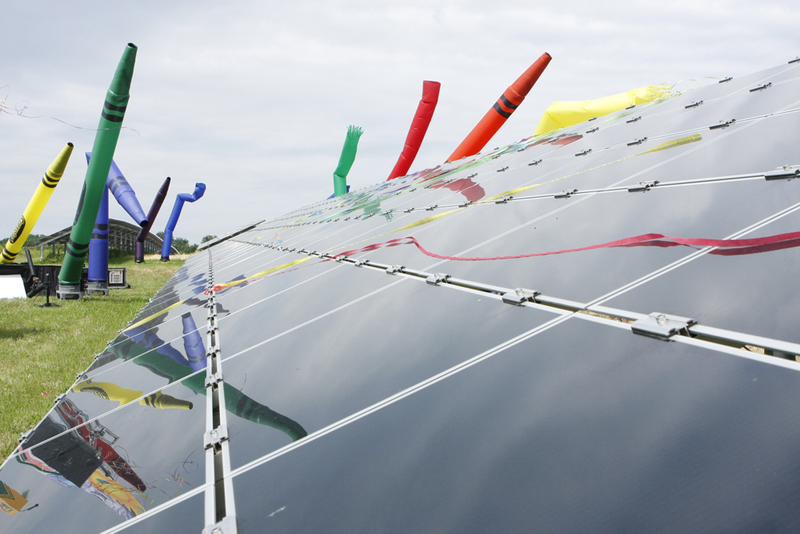 The Crayola Solar Farm is completed and included more than 30,000 solar panels producing 3 megawatts of electricity. The solar panels generate enough electricity to produce 1 billion crayons and 500 million markers per year. The Crayola solar farm provides enough power to make 1 billion Crayola crayons and 500 million markers a year!